“Well, I’ll never match my dad,” laughed Jim Biard, one of our research scholars at NCICS, in reaction to my inquiry on what he would like to achieve in his work. I quickly disagreed, even though the statement was made in good humor. In truth, Jim felt more inspired by his father, Bob Biard, than in his shadow. He grew up in Richardson, Texas, where Bob worked as a PhD electrical engineer for Texas Instruments. Over his 58 year career, Dr. Biard proved a prolific inventor, acquiring over 70 patents and, most notably, designing the first infrared LED. His father’s brilliance inspired Jim. Throughout his childhood he wanted to be scientist, just like his dad, a wish that has been realized in the passion he demonstrates for his career. Jim attended Abilene Christian University in West Texas as an undergrad studying physics. He began his master’s at Michigan State then transferred to Penn State, following a professor. Along with a degree in physics, grad school provided Jim with a knowledge of software development that he has used and built upon extensively throughout his career. 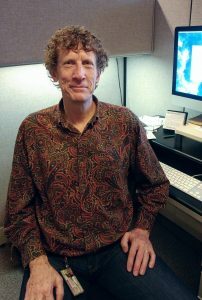 His familiarity with both fields allows Jim to speak with programmers and scientists alike, a skill he uses frequently here at NCICS. 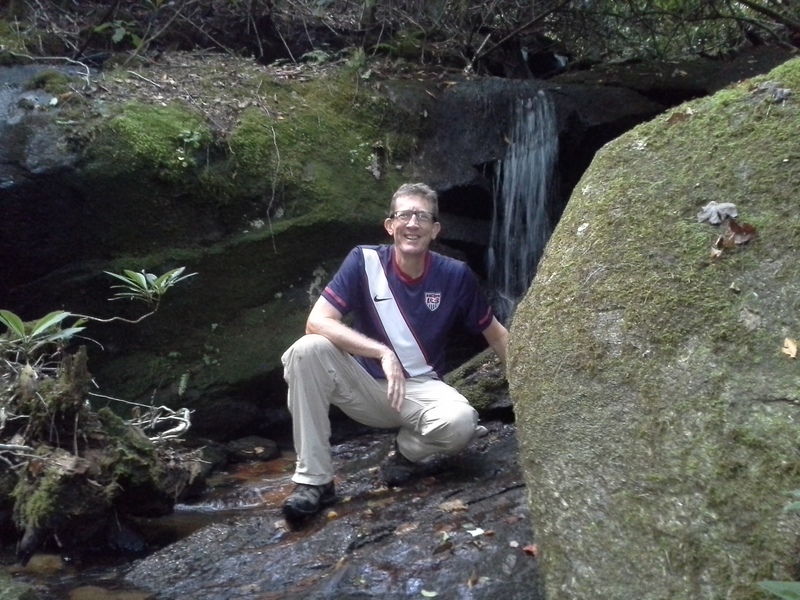 Before coming to NCICS, Jim worked for a number of organizations in many different spheres. He began his career in the Geosciences Department at Southwest Research Institute in San Antonio, Texas, where he wrote software for ground-penetrating radar and well-logging tools and modeled seismic propagation. He then transferred to the Space Sciences Department at the same institution, where he began working with satellite systems, writing scientific instrument flight software, ground-based data acquisition software, and data analysis applications. With these bolstering experiences, Jim moved to Alabama and the Marshall Space Flight Center. He continued to work with satellites but moved away from the science to purely systems-level, server-side software development. Jim has contributed to a number of meaningful projects since starting at NCICS, but I asked what he found to be the most interesting. He noted a project in which he collaborated with former NCICS employee Pierre Guillevic. 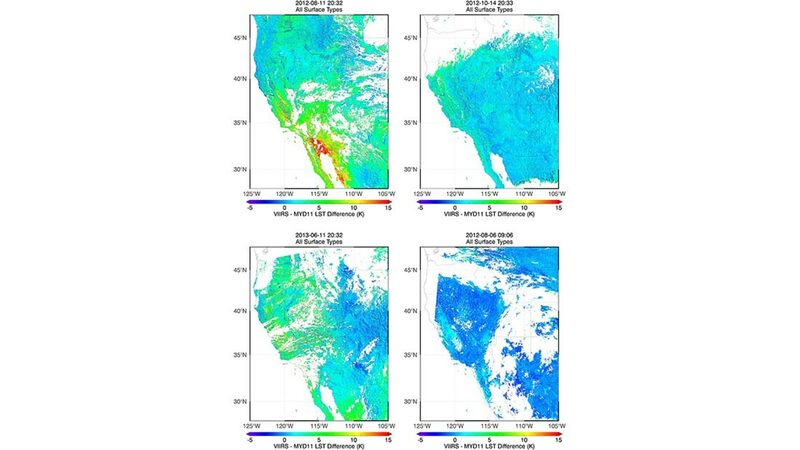 They compared land surface temperature results from NOAA’s VIIRS infrared spectrometer to data from the MODIS instrument on NASA’s Aqua satellite. “We found a discrepancy in the results under situations where it was very humid and very hot,” Jim explained. 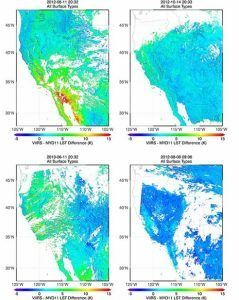 VIIRS didn’t take into account high humidity situations and sometimes skewed data by over 30 degrees when compared to MODIS. Jim enjoyed solving the mystery involved in this problem. He also takes pride in the project he is currently working on: Jim is using a “deep learning” neural network, to build an application that will autonomously learn to track warm and cold fronts. This system appears to have great potential for use in a number of areas. Jim seeks to improve the lives of people through his passions and his work. He acknowledges that, unlike his father, he likely will not have his name attached to any monumental discoveries, yet he takes joy in his work and finds pleasure in seeing its benefits.